A sophisticated design that will add character to any entranceway or living space, the Wings Console by Rugiano is crafted using the finest materials. 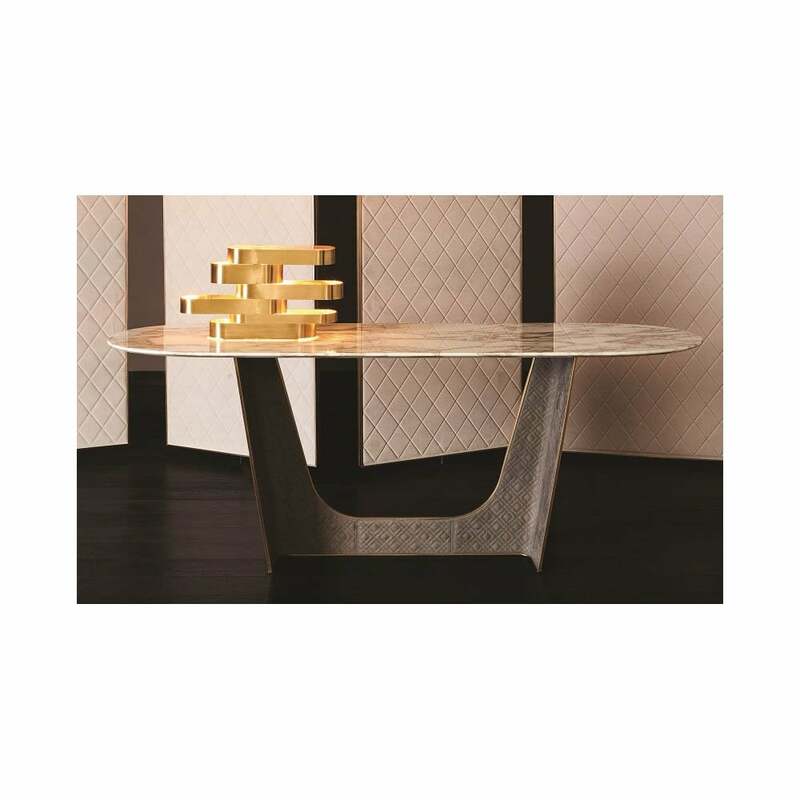 Featuring a rectangular table top with soft, rounded edges, choose from a range of finish options including intricate marble, carved wood or varnish to create a bespoke design to suit your interior scheme. The tapered base is built using polished brass, bronze or bronze flamed metal. To create a softer look, upholster the base in textured Pelle leather. An elegant and timeless design, the Wings Console by Rugiano will suit both modern and traditional interiors. Keep the look chic and contemporary by styling with metallic accessories and greenery. Make an enquiry for more information.